The cricket cage is made from aluminium. 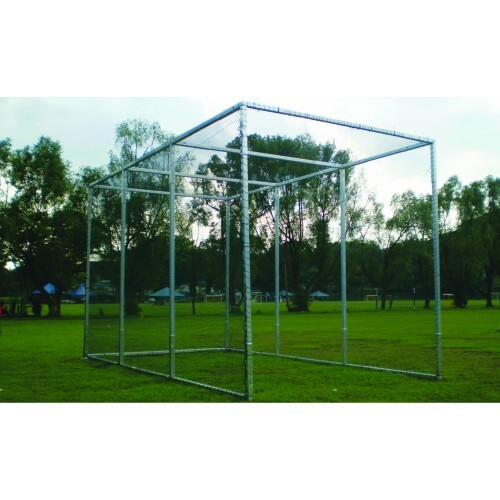 The netting is available in white or green color. The mesh width is 45mm. The thickness of the netting is 2.3mm. The net is made from PP.